Living the student life isn't always as fun as it looks. Especially if you're living off of chickpeas and rice cakes day in and day out. I notice such a difference when I consume greens on a daily basis than when I don't so if I can't afford fresh green vegetables I usually invest in a green powder, it usually costs around 30-40 dollars depending on the brand quality and will last me for a good 3 weeks sometimes even longer. 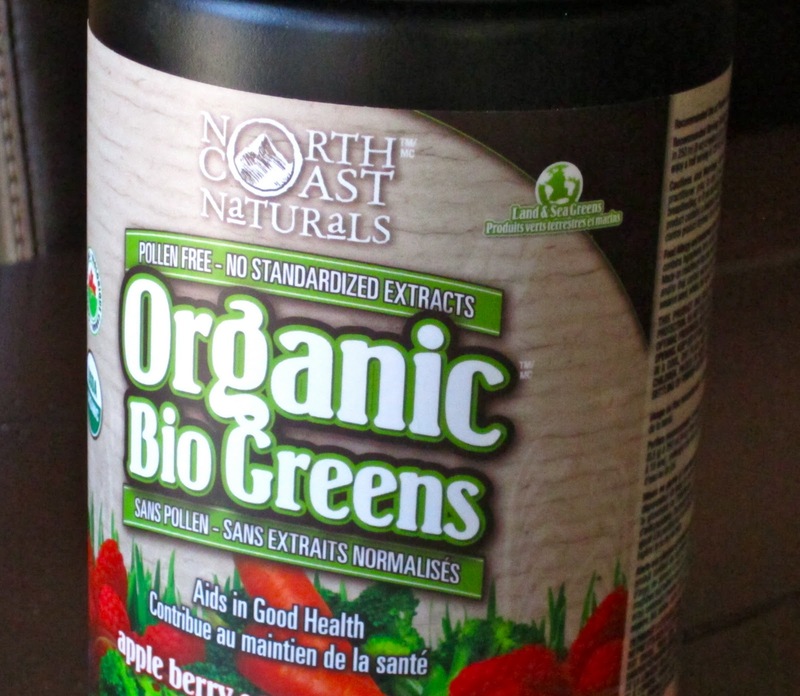 One of my new found favourite brand of greens is North Coast Naturals Organic Bio-Greens. It has absolutely no weird artificial flavourings and is sweetened with inulin and lo han guo (a fruit known for its intense sweetness but low glycemic index). The best part about this green powder is the taste! Which is strange to say considering it's greens but somehow it tastes really good. It comes in one flavour: apple-berry and does a good job in mellowing out the greens taste, making it taste like berry flavoured applesauce. Serious yums. Some unique ingredients in this particular mix: black chokeberry, pumpkin seed powder, and Nova Scotian dulse powder. Us Canadians really know how to put together a sketch-free product :P. Check out their website for more information on ingredients, health info, and where you can buy it online. It's also sold in Canadian health food stores. After about 3 days of mixing it in water, I started to look for alternate ways to get the green stuff in me without feeling like I'm drinking a green-berry-apple swamp lol as good as that sounds... 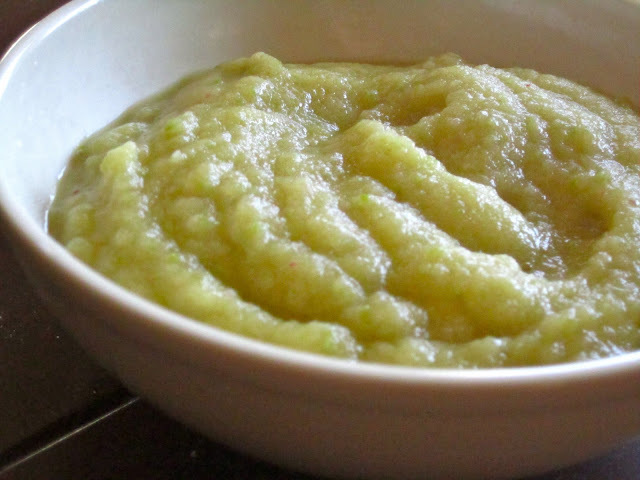 Since the powder tastes so much like berry applesauce I thought of combining it in raw applesauce! I've had this for breakfast four mornings in a row, it digests like a dream and is a nice change from regular green smoothies. That's it! I managed to make this in a magic bullet, seriously could not live without that thing. Puree the apples first then stir in the powder after the apples have combined nice and smooth. Now onto the good stuff! North Coast Naturals is willing to give away one container of Organic Bio-Greens free to one lucky reader!...for U.S. and Canadian residents only. To enter, fill in a comment below telling us how you get your greens into your body as well as any nifty tricks you have to help mask the famous "greens" taste that we have all learned to tolerate and somewhat love. For additional entries, tweet about this giveaway linking back to this page, and/or follow North Coast Naturals on Facebook and (let us know that you did these additional entries by commenting again below). And while you're at it check out our new photo sharing site exclusively for health food freaks like you and I :). I LOVE greens. I make myself a green veggie soup for lunch and save extra to have as a green smoothie for breakfast the next day. I use spices like ginger and garam masala to make things tasty. p.s. I'm loving health freak food! I don't need to mask the 'green' taste. I love greens. I'm the one that thinks how can I put more greens into this meal if it doesn't. But I love green juices and smoothies, salads, you name it. If I don't do smoothies or juice during the day, I may mix up a glass of vitamineral green powder or wheatgrass powder. 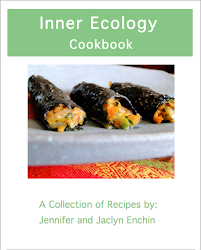 Or a way to hide the taste, just make kale chips or blend up greens into wraps, etc. I try to incorporate at least 1 green veggie into every meal. For breakfast, I puree spinach with my smoothie to make it disappear. Thanks! Truthfully, I haven't been very good at incorporating greens into my diet. I'm working on it! I have a few good recipes for kale, and hopefully I'll get to try some other stuff this summer! I love my greens so I don't use anything to mask the taste, I just add stevia as a sweetener! I make sure to put tons of greens in my smoothies and have a huge salad everyday! i get my greens my blending them in smoothies! or topping them with hummus! I love greens. I love the green taste, too, most of the time. I generally mix greens in with anything I'm making, but I'd love to be getting more. The idea of "hiding" the taste of greens baffles me, although a good salad dressing is essential. My one challenge is spirulina (it's green...ish). I find carob and spices really help. 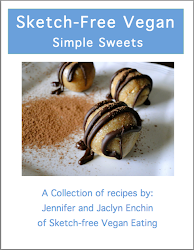 I use your carob chips recipe but add spirulina, cinnamon and a dash of cayenne. Works like a charm! I love greens! I enjoy spinach just about everyday in some form or another, even in smoothies. I make lots of Green monsters and stuff as much spinach as possible in! Bananas are my best friend; they mask the flavor of any green I decide to add to my daily smoothie. As for salads, I love pairing flax oil, avocado, or chopped fruit to help with the bitterness of the greens. I'd love to try this! I love having greens in my smoothies so the fruit is the strongest flavor. This looks so so wonderful!!! I love to make either kale or green cabbage wraps. I Slice a bunch of raw vegetables such as carrots, red bell peppers and avocado, then I add steamed sweet potato slices and julienned apples, topped with some homemade hummus to bring it all together then place them in the middle of a chard leaf! It's a great, healthy and delicious meal! I would love to win this giveaway!! Like a lot of others, I try to get lots of greens in my smoothie, and I mask the uber green-ness with fruit. It's definitely a struggle to get my greens in. Lately, I've been using greens in salads with great homemade salad dressings, and using lettuce leaves as wraps. My favourite, though, is making kale chips - just a bit of olive oil, salt, pepper, and vinegar and bake at my oven's lowest temp until they're dry. Have never tried a green powder like this before and am curious! thanks for holding this wonderful giveaway! i have definitely come to love greens, but it took some time and experimenting. i LOVE mixing greens into my raw homemade sunshine burgers. it is so easy to throw them in with my seeds and spices in the food processor and dehydrate them. they add a great crunch without really changing the flavor profile! i absolutely LOVE my greens! in all kinds of ways-- i've really gotten into various incarnations of green monster smoothies for breakfast :) one of my latest favorites is what i like to call a mexican chocolate green monster, featuring cocoa, cayenne, cinnamon, and ginger-- yum! My favorite way to eat greens is a massaged kale salad with roasted veggies that, hopefully, include Brussels sprouts. Spinach is another fave, and I don't think I've ever had to mask the taste - it's not unappealing to me. I love to eat them in their natural state, or sometimes lightly steamed. Other ways I eat them is to pack them in a smoothie. Never heard of this company, how cool! Love learning about new products, especially when they are green :) Love our savory green avocado puddings! I've just started drinking a green smoothie every day. I usually mix greens with a banana or other fruit, but honestly I don't really mind the taste so I don't bother with trying to hide it very much. I try to add them to as many dishes as I can, from stews to stir-fry. In medical school I learn about the importance of eating greens, but am not given much time to do so. I grab some bags of raw spinach or steam up some kale to get my green on quickly. I LOVE PLANTS. Suffice to say I get stoked on green-coloured foods easily. 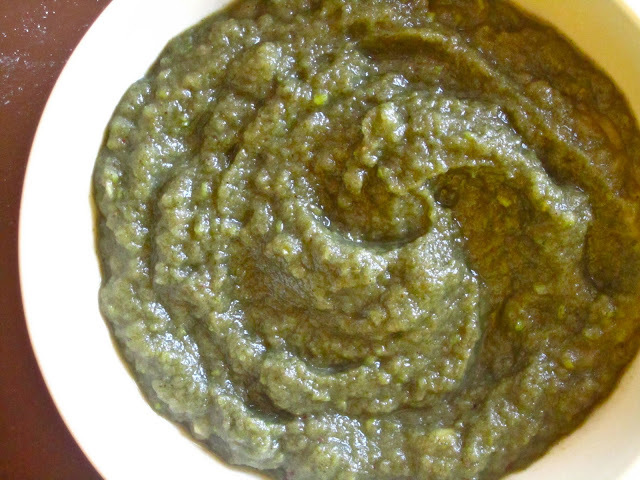 Lately I've been grooving on green sauces (think Saag--the Indian/Pakstani dish made with a spinach or mustard leaf base...ex. palak paneer). I do these either raw (last week it was pureed arugula with chickpeas, apples and pecans) or cooked (my absolute favourite green is chard, I simply saute onions, spices and a legume, blend together a little veggie stock and a lot of chard, then add it the last 2-3 minutes of cooking time). YUM. Sending gratitude for the fun contest! Cheers! I can never pass up a green monster though. I think the greens make it taste so fresh! i put kale in my smoothies! :) i'm also a fan of amazing grass; i drink it every single morning. Health Freak Food: Our New Photo Sharing Site! Super Cookies + Living Intentions Yumminess!